Product packaging is a significant component of the new product development or renewal process. 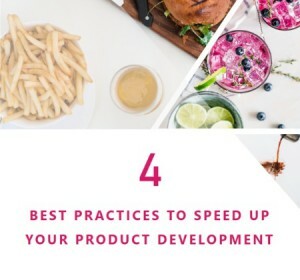 Brands use it as a way to create consumers’ demand, as it is the only way to inform and convince them about the product function and benefits. For customers, the packaging is important, as it gives them more information about the product and determines its quality level. Interest for creating appealing packaging have clearly increased over the years; however, with the fast-evolving technologies, such as smart, active or flexible packaging, and the increasing concern for sustainability, it will become even more central. Not only the artwork is important, but also the content as it has to comply with many different regulations. 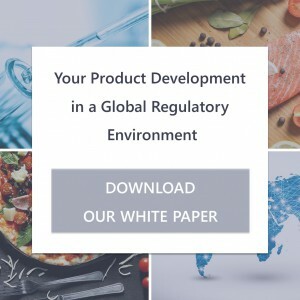 Each country has its own restrictions and compulsory elements such as manufacturer name and address, product weight, ingredients list, language, etc. From design to print, the development of a product packaging involves several stakeholders – internal and external. Marketing, R&D, quality or regulatory affairs teams, suppliers and creative agencies have to work together, share documents and data to create the required packaging. Without a dedicated solution, it can quickly become a nightmare to meet deadlines while creating a compliant packaging. Packaging management: what are the pain points? Through the entire packaging management process, hundreds of documents – packaging specifications and requirements, product specifications, etc. – are created, stored and eventually shared. They need to be easily accessible anytime by authorized users. Often from different sources, under different formats and not dematerialized. Finding the right information at the right time can quickly become time consuming. Packaging management involves many stakeholders – internally with other departments but also externally with creative agencies and packaging suppliers. Efficient collaboration can be very complex, as not all of the participant are involved at the same time and stages are dependent to one another. For, example you cannot start artwork design if you do not have chosen final packaging. Artwork design requires packaging and product specifications – material type, dimensions, ingredients list, description, logo, etc. The team needs to access and use multiple documents and data, often under different formats and from different sources. Information must be accurate and up to date in order to be approved. Design process involves many back-and-forth between the agency, the team and the management. Using emails can be quickly overwhelming to comment, annotate and versioning. One of the most sensitive part of artwork management is the labeling. First cause of product recall in the US, team must be very cautious when creating it. Label must comply with regulations enforced in the country of commercialization. To create the labeling, information from regulatory affairs department – on how it should be settled to be compliant, and product specifications are necessary – ingredient lists, product weight, description, etc. Packaging management process can be quite long as many stakeholders are involved, tasks must follow a specific order and one small delay can have an impact on the entire project. Having a global view on the project progress and be able to analyze pain points is difficult and time consuming if not using a dedicated tool. Packaging management: how can a PLM software help you? A Product Lifecycle Management software can support businesses to develop or renew products from formulation to launch including supplier relationship management (SRM), compliance, quality testing and packaging. Within a global solution, stakeholders can collaborate and accomplish their daily tasks following a project management assistant. Packaging management process is managed from materials sourcing to artwork design including suppliers and agencies management. Documents and data related to the product and the packaging are collected and stored within a unique system. Thanks to a unique repository for the entire product development project, the PLM, allows to collect and store all the information related to packaging such as its specifications, composition, dimensions, printing data, etc. All documents and data are structured following pre-defined templates and automatically re-usable for packaging design. Each of them are centralized and easily accessible by authorized users. With an integrated Electronic Data Management (EDM) software, facilitate tracking, versioning and sharing of data and documents. Retrieve last versions for updated and accurate information. In addition, automatically generate several documents such as the “packaging brief” under different formats – pdf, excel, word, etc. Suppliers management is simplified thanks to a web-based “supplier portal” ensuring fast and secure environment. Suppliers can access and share documents online such as RFPs, packaging specifications, etc. 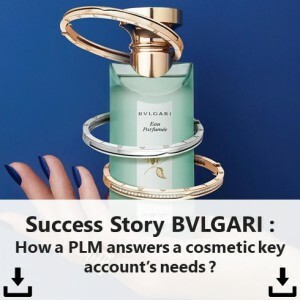 They can enter any requested information directly through the portal and become an integrated active asset of the company. Communication with suppliers is made easy with automated push notifications as soon as a new request is published. Shorten delays, approval cycles and increase data accuracy. With all the document and data centralized in a unique system, product information is easily and quickly accessible – ingredients list, product description, weight, etc. Information is up to date, accurate and pre-defined templates comply with regulations in force in the country of the product’s commercialization. Ingredients list can be automatically generated following INCI classification and enforced regulations. Ingredients percentages, allergens or any other required information are automatically collected and generated on the product label. When product information and labeling specifications are entered within the system using the pre-defined templates, product labels can be automatically generated in the right format – font, size, color, etc. and compliant with enforced regulations. Based on the country of destination, product label can be translated to as many languages as required. Thanks to an integrated a project management assistant that facilitates organization and tracking of each step of the graphic chain entire process. The tool gives a global view of the entire project for a better management and decision-making. Information continuity between the product, its packaging and artwork is ensured thanks to templates and auto-fill options. Tracking and managing documents different versions is made easy, as everything is stored within a centralized and tracked system. Packaging artwork is managed directly with the PLM thanks to an integrated design tool. Users are able to download the artwork, add annotations, comments, and send them internally for approval or to any external agency. Old and new versions can be compared – on a side-by-side or overlay mode, with highlighted changes for a quicker proofreading process. In addition, access all the design tools such as infinite zoom, measuring, color calibration, etc. Product information and translations can be directly added to the document and automatically sent for printing. Different formats are supported by the solution. 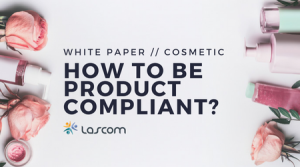 As a PLM software and service provider, Lascom, has developed a global solution to support new product development processes with dedicated tools for each stage: formulation, packaging, quality tests, regulatory compliance, etc. Learn more about the packaging management solution through our solution brief! 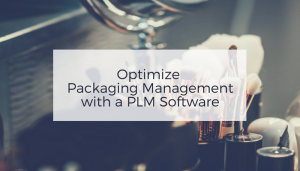 Share the post "Optimize Packaging Management with a PLM Software"